30,000 feet above middle America is not normally the place to have a private dance party. I found myself, much to the chagrin of my neighbor, doing just that this past January. 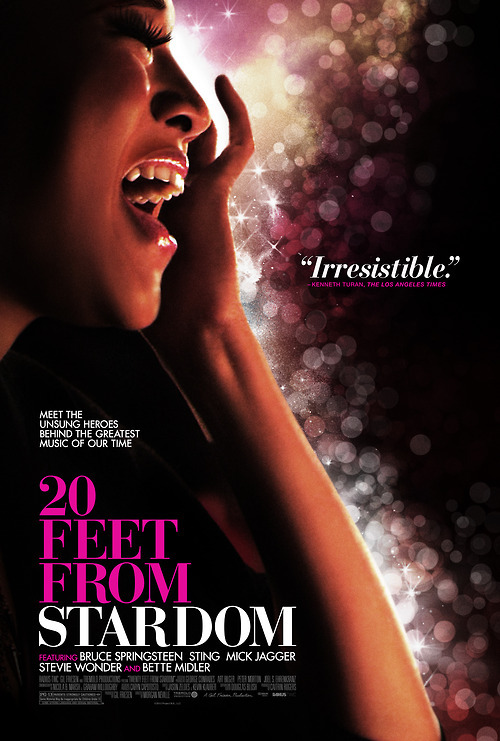 While flying back to California from one of my trips to Georgia, I decided to check out the critically recommended documentary 20 Feet From Stardom. For those not with the knowing, it is a documentary celebrating the voices you know from some of the most memorable songs, but whose face/name you’ve never seen/heard. With interviews from Mick Jagger to Bruce Springsteen there isn’t a moment that was boring. After watching it, I recommended it to everyone who would listen, and wasn’t surprised when it won an Oscar the following February. I was so excited to see that it was on Netflix instant streaming and made a point to share it with my music-loving family on this PAST trip to Georgia. Guess what? They ALSO loved it! So, if you have already heard of it and were waiting for a sign to watch it… then this is your sign. If this is the first you are hearing of it, then let this be me telling you that if you love music then this is something you need to watch. STAT. After watching 20 Feet From Stardom with my family, the geniuses who code the recommendations algorithm for Netflix suggested that I might also enjoy the music documentary Muscle Shoals. They were correct. This movie was also fantastic. “Now Muscle Shoals has got The Swampers… And they be known to pick a song, or two…” Sound familiar? Music history aficionados should already know about the legendary music production scene happening in small-town Alabama during the 60’s, 70’s, and 80’s, but this documentary delves so much deeper. The list of artists and albums produced there is staggering. There was some kind of mystical, primal energy by the Tennessee River that facilitated some amazing music. The soundtrack is (obviously) killer. My third recommendation is for those of you with cable/satellite television out there. 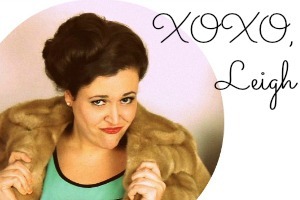 Sorry, Coralie– though Netflix also has a ton of awesome music coverage, obviously. If you ARE lucky enough to get it, however, the Palladia channel is totally worth your time. Where else can you see Daryl Hall (From Hall and Oates) and his awesome house band (literally, house band… there are at his house) jam with some of the biggest names in music? There is also a cooking segment. 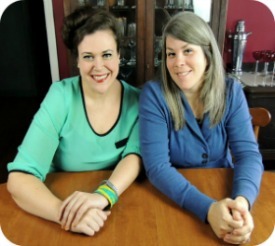 Yes, Virginia, a cooking segment. Palladia also plays old concerts and has music festival coverage. It is pretty surreal to watch a concert on television that you attended… except this time with awesome sound, no mud/heat/humidity, legitimate camera work, and no drunk girls throwing up in front of you. Lollapalooza actually looked better from my couch. Palladia has some misses, but isn’t that makes the world go ’round? Hey! Here’s Mayer Hawthorne (my summer recommendation) killing it with Daryl Hall on Live From Daryl’s House! Although there is nothing like going to see your favorite musician live, there is a long history of amazing collaborations between film and music: Living in the Material World, The Last Waltz, It Might Get Loud, the list goes on and on. Just as music elevates film, sometimes film can elevate music. What do you think? What are your favorite music movies? 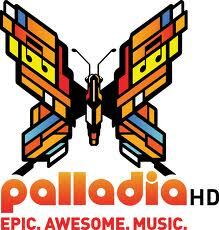 Do you get the Palladia channel? What are your favorite alternative ways to get music? As always, let us know! Sweet Summertime Music: Mayer Hawthorne The Lucky One: My Trip to Vegas Re-Use That Thing: Scrubbing Doubles! 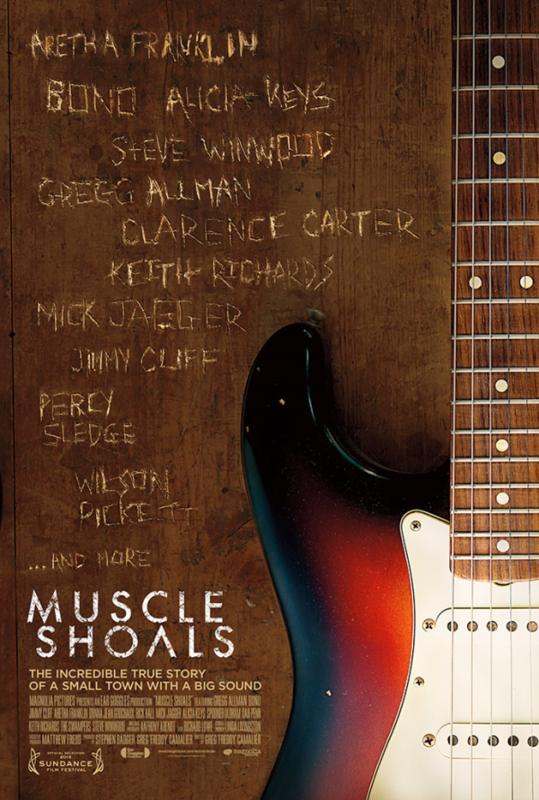 I’m giving “Muscle Shoals” to your Dad for his birthday. Saw it and loved it a few months ago!